Dr. Wayne Carey graduated from medical school at the University of Alberta. He completed his Internal Medicine internship and residency training in Dermatology at the Royal Victoria Hospital, McGill University, Montreal, Canada. Upon completion, he pursued an additional three year fellowship in Dermatology at Hôpital St-Louis, Paris, France. He returned to Canada as a full time geographic professor at the Royal Victoria Hospital where he practiced until 2007. During this time he served as Chief of Dermatology as well as Director of Dermatologic Surgery, and Director of the Dermatological Fellowship Program, the latter position he still retains. He was also nominated to the rank of Senior Physician at the Royal Victoria Hospital. Presently he works at the Carey Wang Centre for Dermatology and Dermatologic Surgery in Montreal. His main interests are cosmetic procedures, dermatologic surgery, Mohs surgery and reconstruction, and clinical research. He was one of the founding members of the Canadian Society of Dermatologic Surgery. 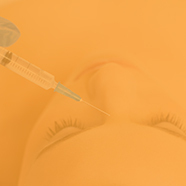 Dr. Carey pioneered the technique of long lasting volume filling of the cheek using hyaluronic acid injections called the Tri-Site Bolus technique. HA for treating hands: where are we?